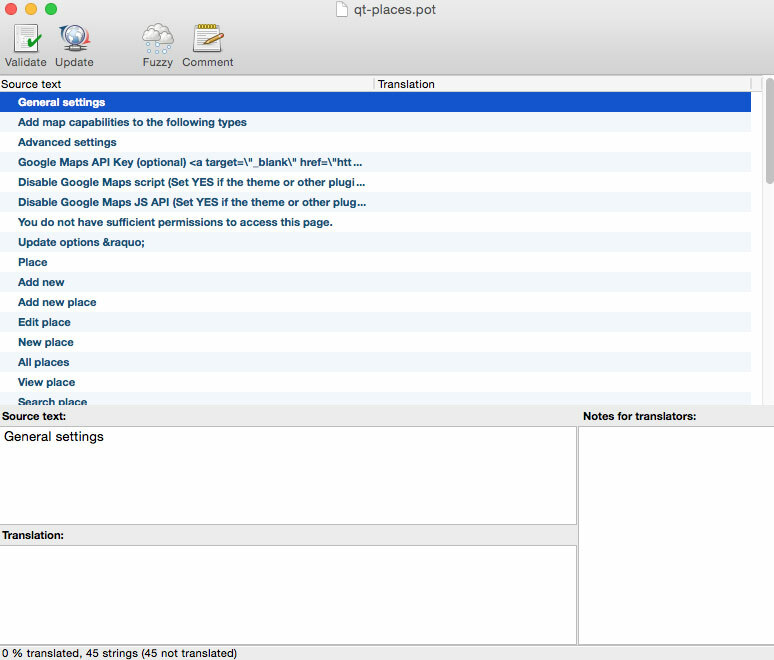 QT Places is an elegant and versatile Wordpress plugin to display custom Google maps. After the installation, a new post type called “Places” will appear in your WordPress menu, and you can immediately start adding new places. Places have their own taxonomy, called “Place Category”. 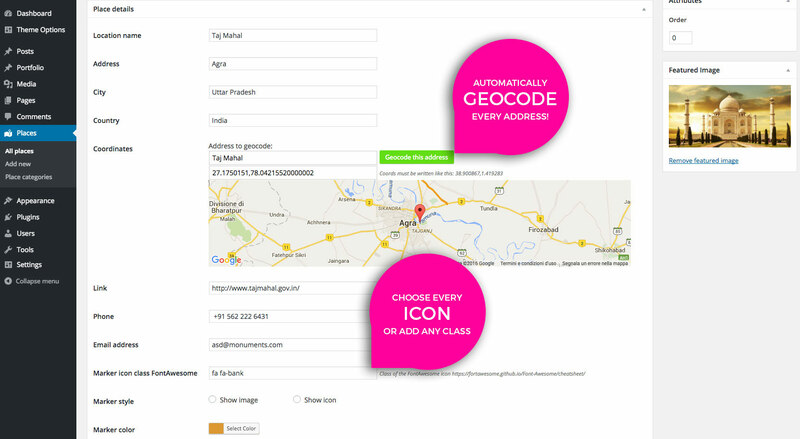 With this feature, you can easily create maps to display only one or few selected categories of places. You can add Map capabilities to any existing post type, including normal posts, pages, or any custom post type added by other themes or plugins. You can also use any other existing taxonomy to create the map filters, and to display specific selected categories of posts. 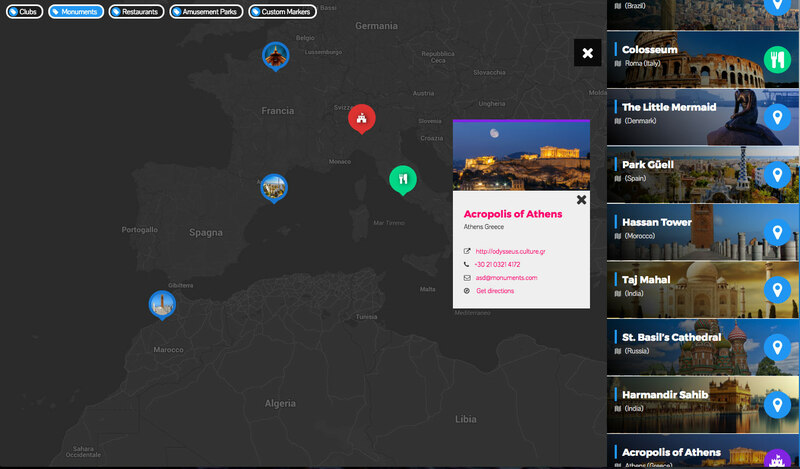 For example, you can create a map of your travel articles, and use the blog categories as filters: for the visitors will be easy and fast to browse your articles based on the country or city. Or for instance, for your site of recipes, you can create a world or country map with the recipes of each region, and use the ingredients as filters. Another useful example, is a map of all the shops of a big franchise, allowing the customer to easily find the closest sales point. Or, you can do all these things at the same time! 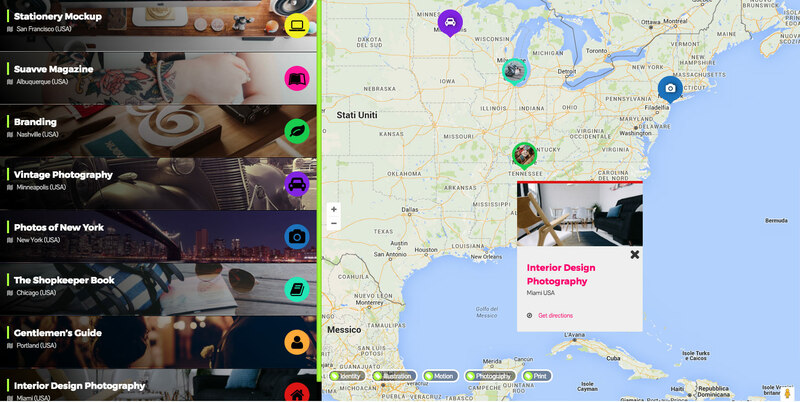 Instead, you can have in the same page a map of places, a map of posts, and a map of pages or portfolios. Tested on iPhone and Android, you can also specify a custom height for the mobile version. 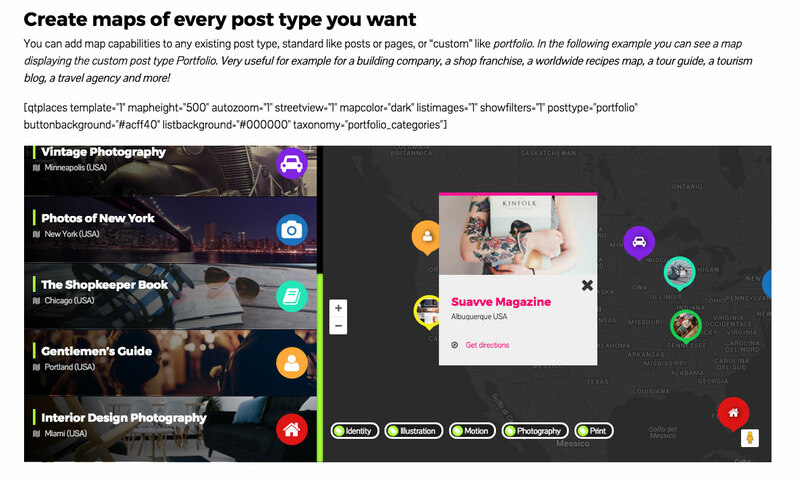 Create maps of every post type you want You can add map capabilities to any existing post type, standard like posts or pages, or “custom” like portfolio. 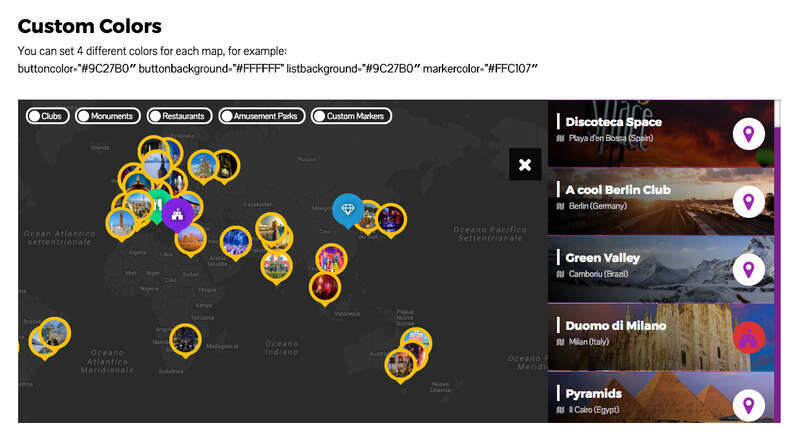 In the following example you can see a map displaying the custom post type Portfolio. Very useful for example for a building company, a shop franchise, a worldwide recipes map, a tour guide, a tourism blog, a travel agency and more!